 BEAUTY PRODUCT REVIEW: Hello guys! Sharing some of my beauty favorites on the blog today 🙂 I thought of this post just because I’ve been buying so many new things lately, it made sense to sort of a product review on the new beauty products i’ve been using.For the longest time I wasn’t really into makeup and didn’t branch out and try a ton of new products but for the past couple months i’ve been really into finding new things to try! I wanted to do a post on some of my new favorites and let you guys know what I think about them! Also comment below any of your summer favourites. 1. Self Tanner: This stuff is AMAZING! I have really sensitive skin and if i don’t tan for too long, i’ll become really fair so I am always trying to figure out a good self tanner and I really really like this stuff. It’s a mouse and it’s so easy to use. I actually just bought the mit that is sooooo soft!! I have tried a bunch of different bronzing mousses before and some of them are just way too dark for me so I like this a lot more. I always have streaks and lines all over from self tanning because I am just really bad at it apparently haha but I feel like with this I am improving! This is definitely one of my summer favorites. 2. 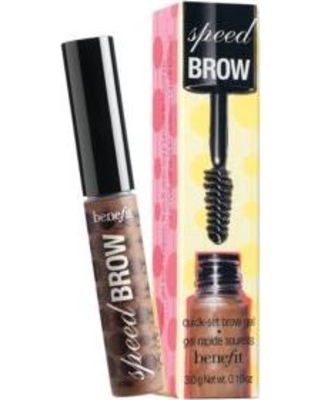 Benefit Speed Brow: Why am I just discovering this now?!? This product is a life-saver. It’s so easy to apply and so perfect for when in a rush. 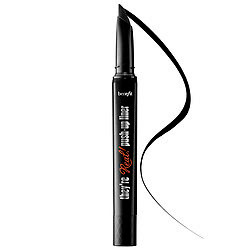 It covers your brows so well and it’s extremely fast to use. 3. 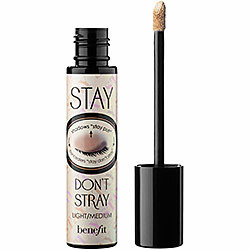 Benefit Highlighter: This highlighter does magic, I’ve been meaning to buy one for the longest time, I’m excited to have committed to this one. 4. 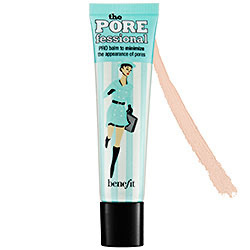 Benefit Pore Face Primer: Primers are extremely important and this is one of my favourites as i’ve tried a bunch of different brands already. Definitely staying loyal to this one. 5. Brow Zing Medium: I’ve been using this product for a while now, I definitely recommend it if it’s an important event or there is more time for makeup time. I love using this product so much and it’s pretty easy to apply as well. 6. Hoola Matte Bronzer: Every human needs a bronzer in their life. This makes each penny so worth it. I’ve been loving this product for a really long time and I haven’t really kept buying it, for no specific reason and now that I just purchased it again, it makes such a huge difference, i love it. 7. 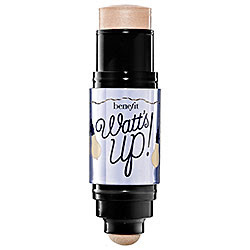 Watt’s Up! Cream-to-Powder Highlighter: I love this shade! It’s very brightening and has a cool look but also some golden shimmer… this has been my go-to for a few weeks now! 9. 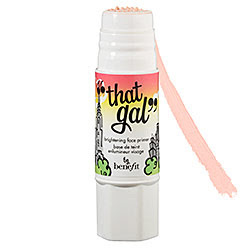 That Gal’ Brightening Face Primer: I tend to apply this product right after I put my Benefit Pore Face Primer just because it tends to brighten my face and give me a bit more “light”. I love this product. 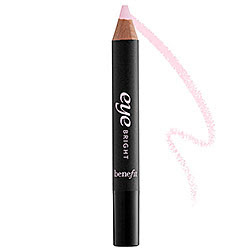 10.Eye Bright: This pencil is also magic, I apply this after I’ve applied my Benefit Speed Brow, on the bottom of the brows – just to lighten up a bit more around my eyes. Find all Benefit Cosmetic products by clicking here, or visit Wojooh in Mall Of The Emirates on the ground floor, click here for more information. Previous Post Before My Run.